We invest the money we raise into organizations with years of experience to build sustainable, community-owned water projects around the world. Our team works closely to ensure that every dollar is accounted for and then provides reports back to our donors. Learn about our approach, the solutions we fund and our partners on the ground. We're passionate about solving the water crisis in our lifetime, using 100% of all public donations to fund water projects, and proving where every dollar goes with photos and GPS coordinates. Here's the progress we've made since we started working in 2006. This number represents all water projects funded by charity: water. It includes both completed projects and those that are still under construction. This number is dynamic, and we update it periodically as we receive current information from the field. This number represents the total number of people who will gain access to clean water as proposed and reported on by our implementing partners. This number is dynamic, and we update it periodically as we receive current information from the field. This number represents all the partners we've worked with throughout our history. Visit our partners section for a list of our current partners. 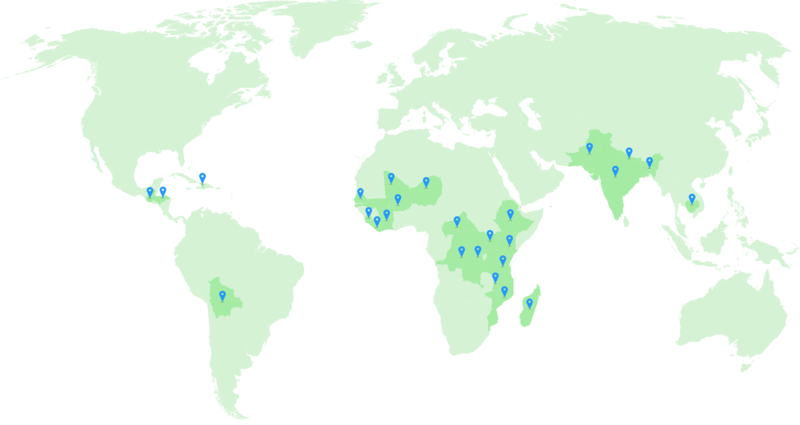 We fund water programs in 27 countries around the globe - in Africa, Asia, Central and South America. Water scarcity, poverty, political stability and strong partner organizations all play a part in where we choose to work. We focus on providing rural communities with their first access to clean water. Our time in the field gives us a personal view on what it's like to get clean water for the first time. The mothers, children and communities that we’ve met inspire our ideas and, often times, solutions. Every one of them has a story worth sharing. We're not just about funding new wells, we're also taking care of the ones we've already built. This is how we ensure that our water projects continue to provide clean water to communities long after they are installed. Pipeline is a system of local leaders, innovative technology and trained mechanics all working together to keep water flowing at charity: water projects around the world.